All life of Earth depends upon the survival of the plants that surround us - each day of our lives, we use plants from every continent on the planet. The Eden Project is a gateway into this fascinating interactive world of plants and people, a living Theatre, exploring our global garden inheritance - revealing plants, as you've never seen them before. 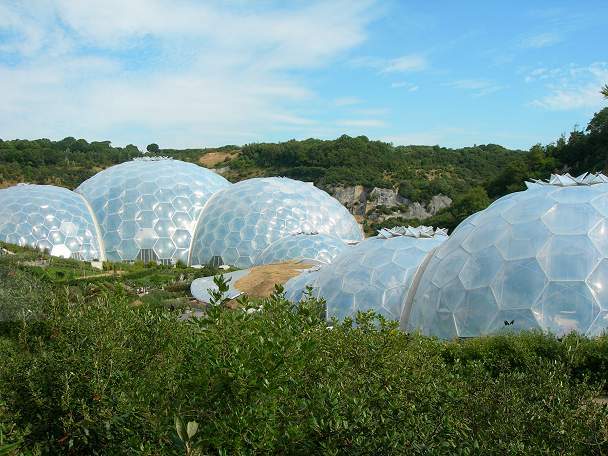 The world's largest geodesic domes at The Eden Project, contain two distinct biosphere's for you to explore, the Humid Tropical Biome featuring a jungle environment and the Warm Temperate Biome, featuring plant species from the Mediterranean, South Africa and California. 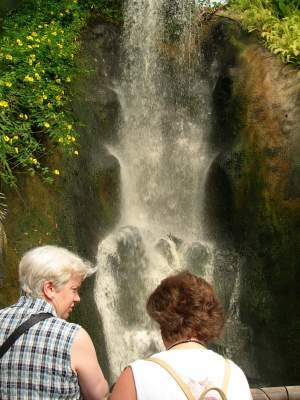 Whilst outside there is a series of landscaped gardens where you can enjoy a diverse collection of plants from the Wild Cornwall section to the terraced tea slopes. 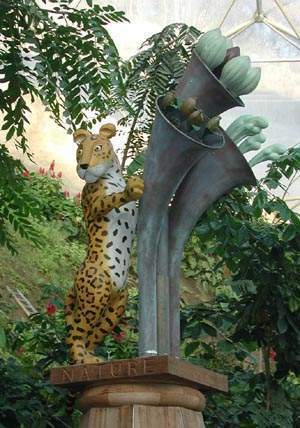 The Eden Project is very extensive, requiring a great deal of walking, often up and down sloping terraces. 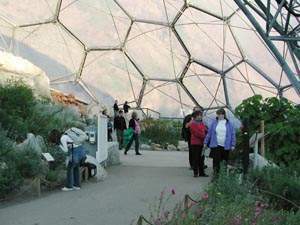 A train runs a regular service from the Visitor Centre to the entrance to the domes, but once inside the biomes there are a number of slopes to be contended with. Comfortable shoes are strongly recommended. Once in the domes, you will immediately notice the change in humidity as you enter the Humid Tropical Biome, where temperatures reach 28° Centigrade - so regardless of the outside temperature, be warned that you will need a top layer of clothing that is easy to take off and easy to carry. On hot days, sun protection is also advisable (sun tan lotion and a hat) as the transparent ETFE film that the biomes are clad in, transmit UV light. A fantastic range of plants from around the world. Marvellous stories demonstrating the many ways in which man uses plants for; food, medicine, construction, entertainment, the air we breathe and a whole lot more. Information on the relationship between plants and the development of our global cultures. A glimpse into the future, following the use of plants in new designs and technologies. A chance to get involved; feeling, tasting, seeing and using plants on themed tours and in a wide range of workshops. Demonstrations of resource use and the showcasing of local and global projects and initiatives working towards securing a sustainable future. Information and simple practical ideas on how to care for the plants and their habitats, that provide for us. Working towards a sustainable future. Lostwithiel Self catering cottages and en-suite B&B. Historic property set in 10 acres with superb views, outdoor swimming pool and indoor leisure facilities. 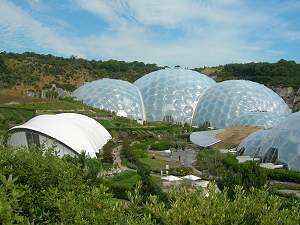 Excellent base for exploring Cornwall, Eden Project 6 miles.